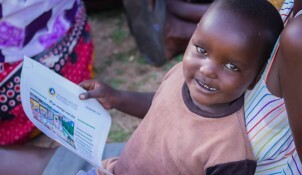 In Kenya, many children drop out of the free, public elementary schools before reaching eighth grade because of needs for school uniforms and shoes, books, pencils and notebooks. Many families cannot afford to provide their children with these necessities for school. Public classrooms are overflowing, and one poorly paid teacher must often handle a class with 60 to 80 pupils or more. There are also a lack of desks for many students, who sometimes have to sit on the dirty floors, and books and maps can be scarce. Human Relief Foundation (HRF) is to help provide and improve the education for children who are in need. Human Relief Foundation is aligning itself more closely with a strategy to ensure the promotion of sustainable development in all of its priority areas. HRF’s priority areas for Kenya are Water, Sanitation and Hygiene (WASH); Capacity Building; Humanitarian Emergency Relief for refugees; Health and Education; Livelihoods; and finally Climate Change and the Environment.